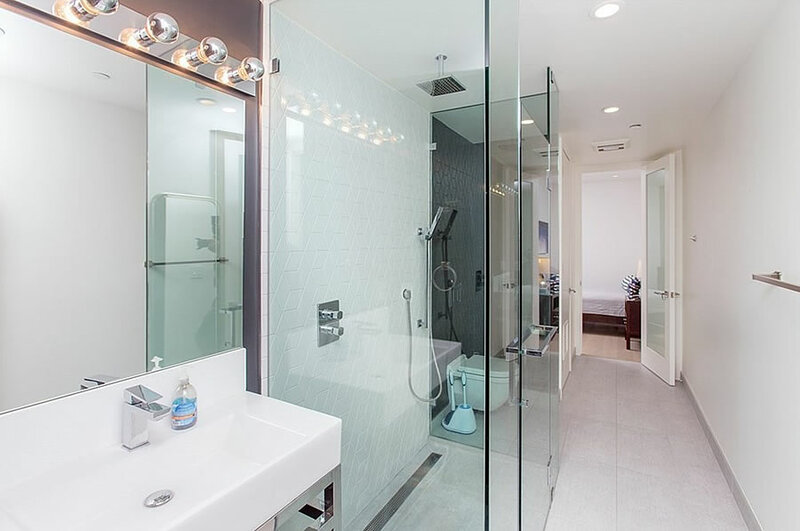 Purchased for $950,000 in June of 2015, the modern two-bedroom unit #411 at 1875 Mission Street (aka “M@1875”) returned to the market listed for $1,050,000 this past August, a sale at which would have represented total appreciation of 10.5 percent for the “luxurious, stylish and modern top floor [Mission District] condo,” with “the finest” floor plan in the building and a compact parking space in its garage, since the second quarter of 2015. 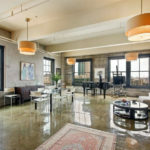 Reduced to $1,025,000 after 10 days on the market, the asking price for the 778-square-foot unit was dropped to $999,999 in mid-September, to $949,999 at the end of September, to $939,999 in early October, to $900,000 in mid-October, to $875,000 at the end of October and to $850,000 last month. 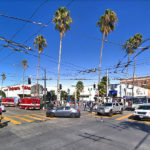 Yesterday, the list price for 1875 Mission Street #411 was reduced to $825,000, a sale at which would now represent total depreciation of 13.2 percent for the unit on an apples-to-apples, versus “median price,” basis since the middle of 2015, not accounting for the value of all the furnishings which are now included in the sale as well. 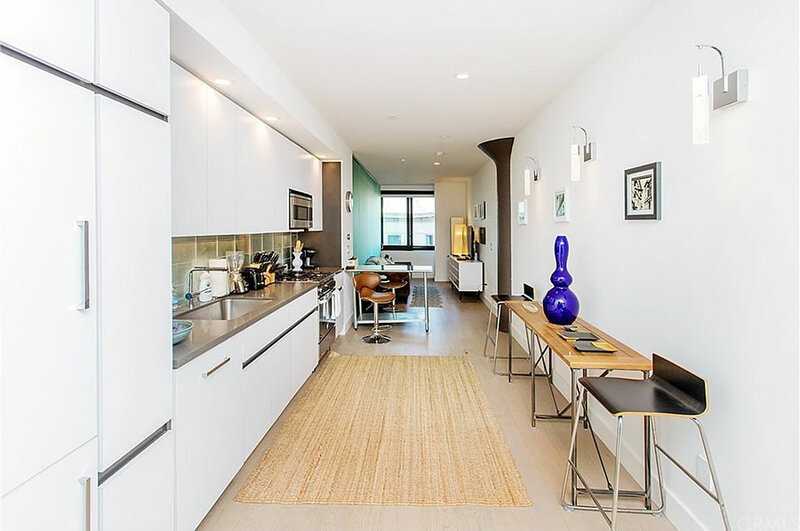 Last year, the one-bedroom unit #211 at 1875 Mission Street resold for $832,020, representing total appreciation of 7.4 percent for the unit from 2015 to 2017. But as we noted at the time, “while a straight line from early 2015 to today would show “continued” appreciation over the past thirty months, a curve would reveal a front-ended up and more recent down,” which brings us to today. 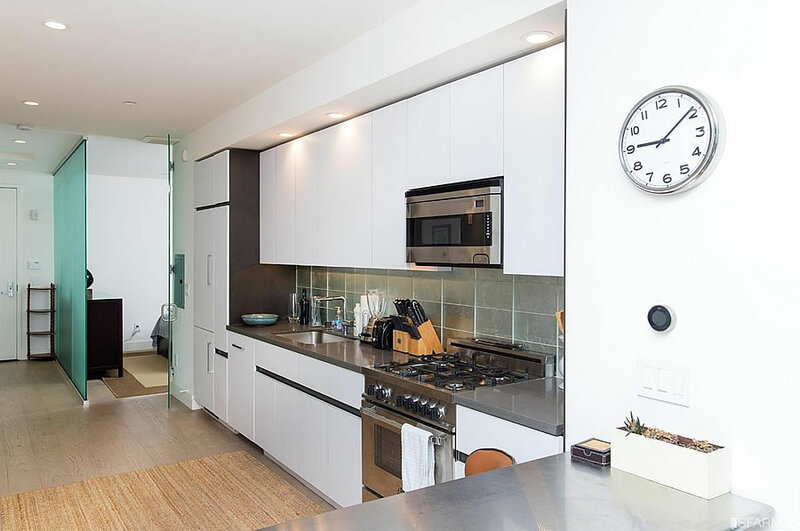 This past Friday, the resale of 1875 Mission Street #411 closed escrow with a contact price of $815,000, roughly 14 percent under its 2015 price on an apples-to-apples, versus “median price,” basis and only “1 percent under asking,” versus 22 percent under its original list price and expectations, according to all industry stats and aggregate reports. Today’s theme: buyers who bet on emerging neighborhoods didn’t fare so well. Wonder what would have happened if they had chosen blue-chip locations? Yep. This must be one of the worst blocks in the city to live on right now. I actually feel bad for the folks living there when I roll past on the 14. Wonderful, with prices in free fall there is no longer a need to build BMR housing – by summer everything will be cheap!! 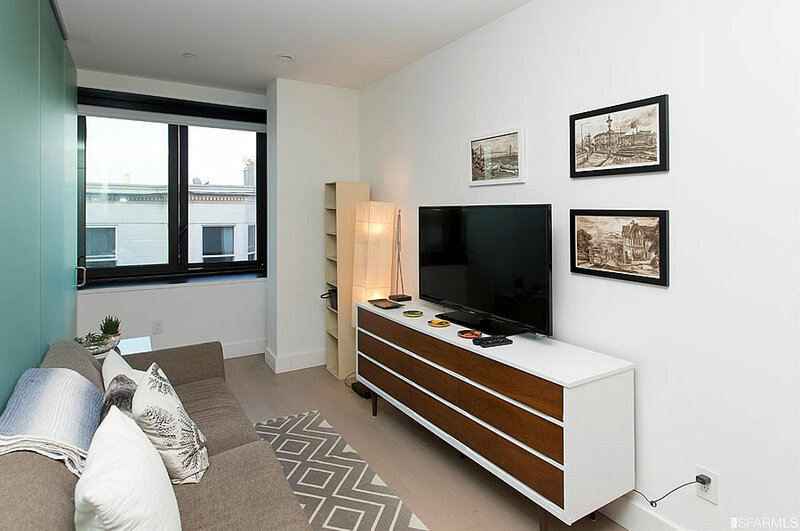 A 7′-0″ wide living room is awful. (The code minimum width for habitable room). This should be a one bedroom. The photo with the bedroom has NO window? and this is apparently “the finest” floor plan in the building. Furniture included because they can’t get it out of there! This was the property of the Market St. Van and Storage Company where – judging from old classified ads – it was, ironically, used to store furniture…seems like it’s function hasn’t changed much. An awful floor plan building – and TBH – that stretch of Mission is AWFUL…. Since the prior purchase, mortgage interest rates rose 11%, and property taxes became non deductible, reflecting an increase of about 15% for property taxes, and there are fewer foreign buyers, so the drop of 14% is about what you’d expect just on payments. My guess last month was south of 750K (off by 9%, which was a terrible guess for me), but mortgage interest rates have fallen quite a bit since then. The upside is that the HOA dues are only $498 per month, covering “…water, gas, trash and Webpass Internet access.” That is rock bottom considering a fairly-new (circa 2014) building. Although that does beg the question on whether the building is building enough reserves for long term maintenance needs. After utilities, building management, and immediate maintenance needs, it doesn’t seem like there would be much left to save up for things like roof replacement, elevator replacement, and the inevitable law suit most every building has with it’s builder. More and more buyers seem to be realizing that, when it comes to SF real estate, there is no there, there. No, I have 2 SF condos purchased for 278K total, that are currently worth 1.9 million. So there is 1.6 million there. Over time, it historically goes up .up ,up. If you bought SFHs, would you have more than $1.9? That Gertrude Stein quote in the wrong hands is the opposite of life as we know it. Indeed, opposite of life as we(‘ve) known it – life as it is. The pool is beautiful but the unit looks like a shoe box…. Just consider it the changing room for the pool. Agree with others – an awful floor plan. It looks like the front door opens into the awkward half galley kitchen. lotta haters on here, but you guys have been crying for more units. This is what you get. The real travesty here is that the building is only 4 stories tall or whatever. I bought and lived in this building for 3 years. 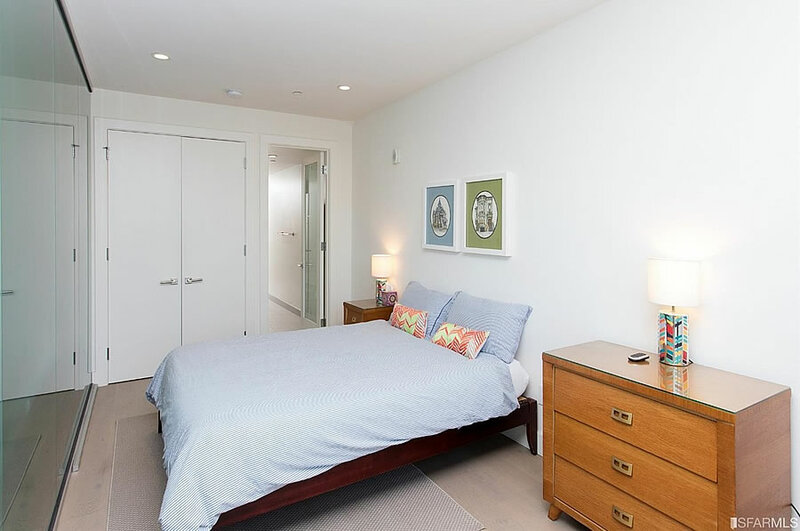 The layouts for 1 bedroom units are actually very spacious and every inch of those units are usable. I can’t say that about the two bedroom units, similar to the one described on the article. Most owneers tore down the glass wall and expanded the living room. Overall great building, with good rooftop amenities. 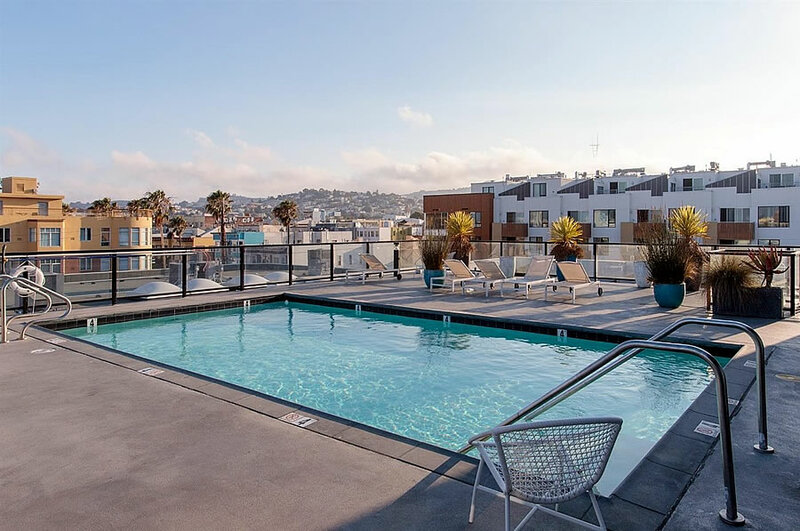 Can’t get a heated pool, dog run and hangout area on the rooftop with some great views in the Mission. The area is sketch, but like everything in San Francisco it takes some time to change.